September 17 Kelly Sue explains how her upcoming Aquaman comic channels Led Zeppelin! DeConnick will take over writing duties for DC’s main Aquaman title starting with issue #43 in December, making her the latest in a line of famous Marvel writersto move to DC in recent months. 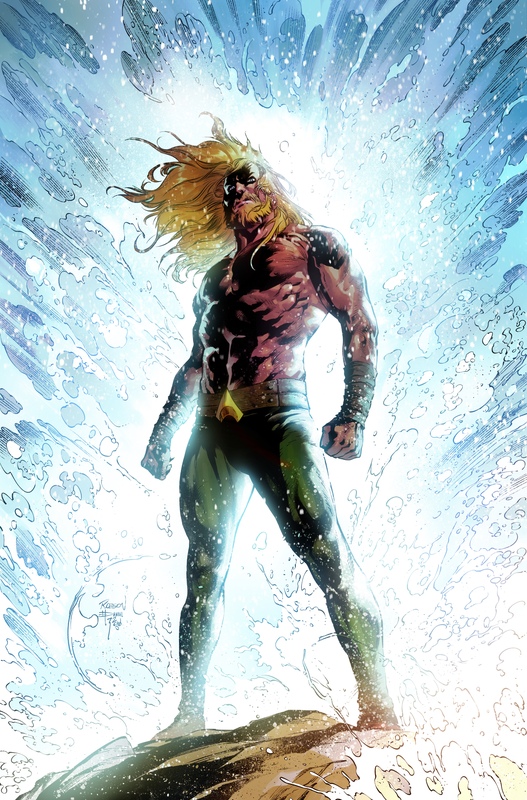 DeConnick’s move was first announced at this year’s San Diego Comic-Con, where DC co-publisher Jim Lee gave a brief description of the series as a story about an amnesiac Aquaman washing up on the shore of a mysterious island alongside other sea gods from around the world. Talking to EW, DeConnick explains that this plot description is accurate, and helps her dig deep into an admittedly complicated character. For the rest of the interview and some SWEET preview pages, click here!